What were the top discoveries in anesthesia history? 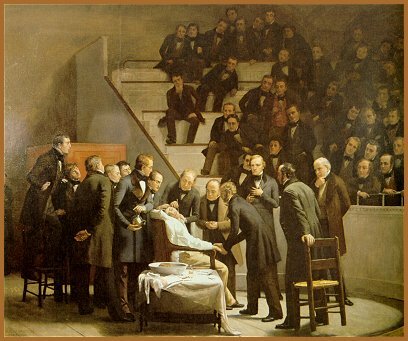 Humans have inhabited the Earth for 200,000 years, yet the discovery of surgical anesthesia was a recent development in 1846. For thousands of years most surgical procedures were accompanied by severe pain. The only strategies available to blunt pain were to give patients alcohol or opium until they were stuporous. I was so disappointed at the omission of End-Tidal CO2, which is now not only the gold standard of whether ventilation is occurring but also the endpoint against which the success of cardiopulmonary resuscitation is measured. Shame on you! Thank you for your comment. I agree with you and have added ETCO2 monitoring as an 11th Top Discovery. The nearly simultaneous introduction of pulse oximetry and ETCO2 monitoring obscured the latter from my original Top 10 list. I’ll choose to disregard the word choice in your last sentence. Perhaps you felt empowered to scold someone?